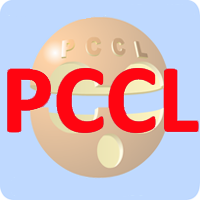 PCCL | INTERACTIVE PHYSICS SIMULATIONS | Flash animations for free | Educational support in flash animations at middle school, high school and academy for sciences classroom. Physics and Chemistry by a Clear Learning in High School, Middle School, Upper School, Secondary School and Academy. Free & interactive teaching for courses. Corrected exercises. Puffin Academy is a wicked fast Mobile Flash Browser for students, parents, and teachers. PCCL is on Puffin Academy Portal, as an educational web site.